Multi-function gaiter is made of polyester microfiber fabric. Can be used as a bandana, beanie, wristband, headband, hair band, hair cover, head wrap, scrunchie, scarf, rally towel, face mask, sun, wind & dust screen and much more! Great product, what else to say? Works well, built well for the cost. I'd love to see more ARC stuff. 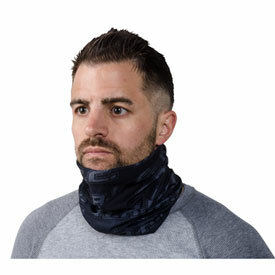 I wore this a full day under my Mid layer and It provides a comfortable layer to your neck and lower jaw while on the bike and off. 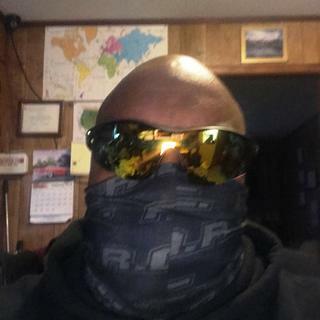 I think this would be a good winter everyday buff to wear and keep the Hawk (Cold and Windy days) off your neck or to keep your scarf from irritating your neck. ARC Buff works as a neck, lower face and Skully (Head Cover). Great product for the price looks good and holds up well. I would buy again. I do a lot of adventure riding and my jackets always end up rubbing my neck a little raw (I have used all brands of jackets over the years). on long rides it gets to the point where I never want to turn my head to look at the views because my neck is tender. Not anymore! I got one of these and I will never go without a neck gator again! this one is thin and good for cold to even summer riding. I would recommend one to anybody that does all day or multi-day rides. If you're somewhere really cold it might be kind of thin. Got it cheap, is cheap. Super thin very stretchy. No warming effect at all.